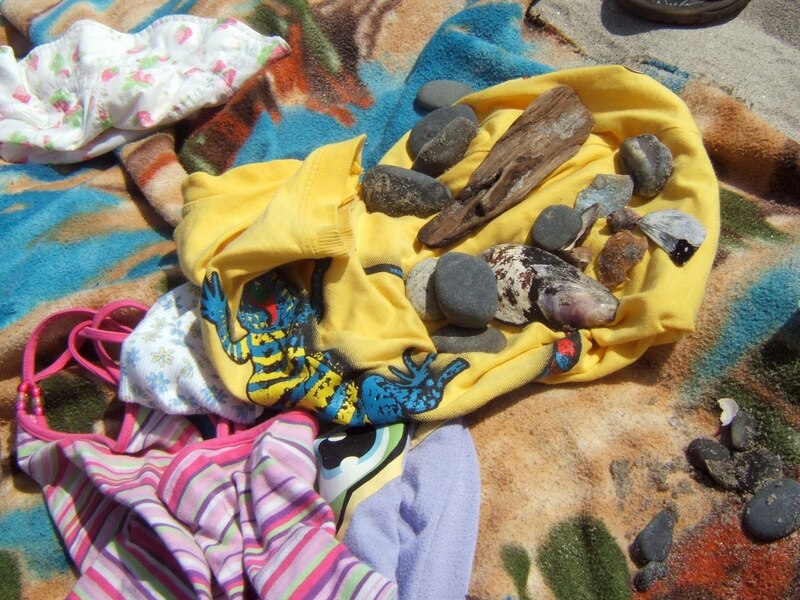 A trip to the beach or the park usually results in a pocketful of treasures: sea shells, rocks, pinecones, even sticks have made their way back to our house. These become welcome memories of our adventures and have often found their way into the kids’ imaginative play. While we do have displays for these special items, after an impromptu trip to the beach yesterday, we decided to make collages as a new way to preserve these memories. This activity is a wonderful way to recap your adventures, whether later the same day, or weeks after. As we sorted through our treasures, the kids were able to recall (for some items) where they came from and the fun we had while there. To make your own collage, you will need an empty cereal box (or something else that is sturdy, as paper will not be heavy enough), colouring markers, crayons or pencils, white craft glue, treasures and your imagination! 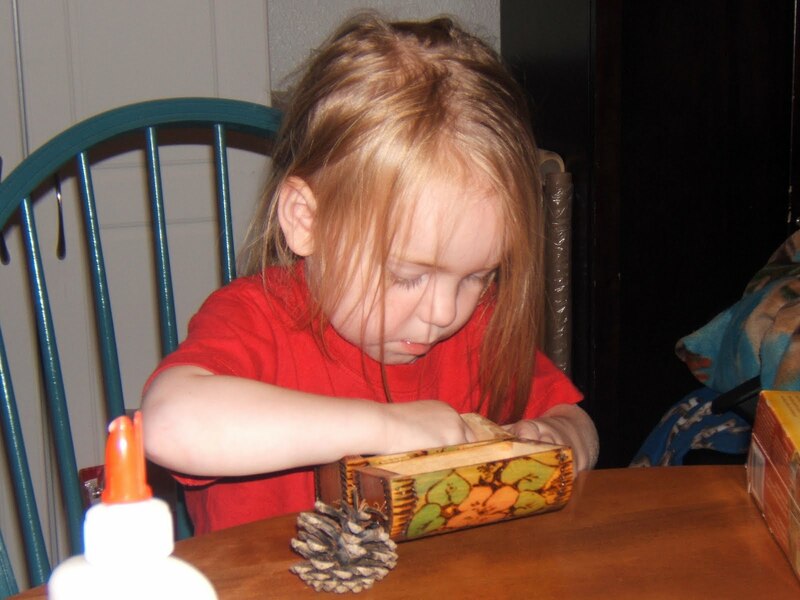 Each child was given a piece of boxboard and chose their treasures that they wanted to use. 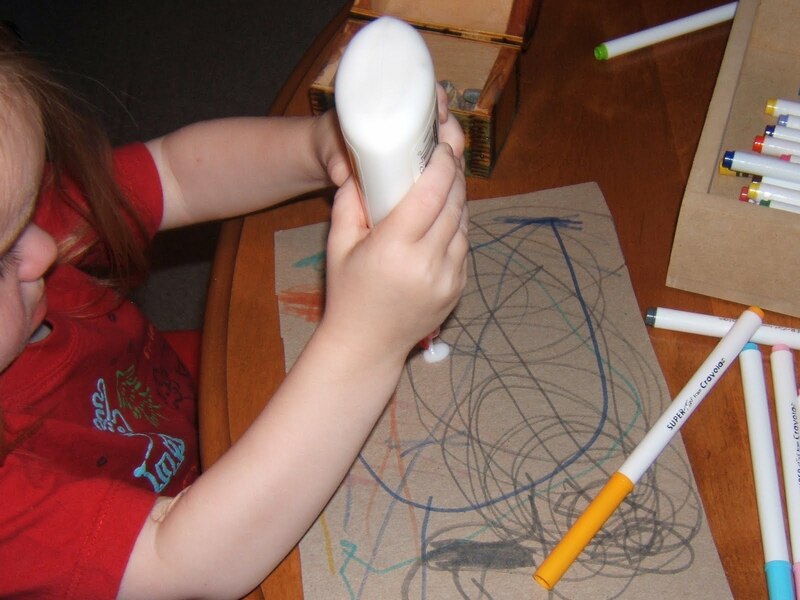 You may wish to draw your picture and add your treasures as embellishments. 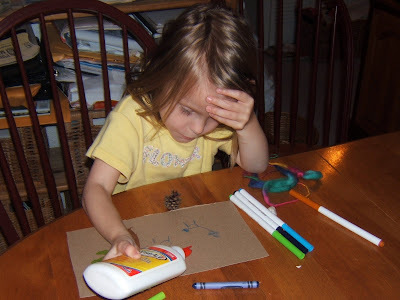 If using rocks and shells (or other heavy items), make sure you use plenty of glue. Feel free to use other bits and bobs to round out your picture. By moving your items this way and that, you'll be amazed what they can turn into. We saw butterflies, birds and trees. Below, a shell became a turtle. 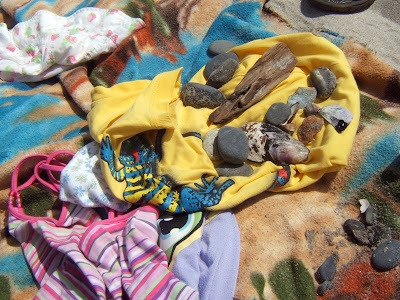 While the younger ones used their treasures as decorations, it was interesting to watch our older son use his to recreate scenes from the beach this morning (although we didn't see any turtles). This is a terrific activity to relive adventures and a great way to display treasured memories. 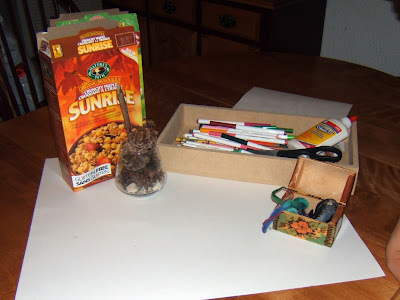 It is always so much fun to bring home bits from a nature walk and then to make art. I am still doing this! Love these. We did a mobile style one just yesterday. Check it out! 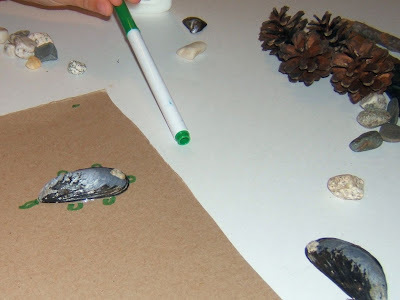 I love natural crafts, my kids always come back from the park with lots of nature in their pockets! !